Howard University almost pulled the doubleheader this afternoon in Ohio. After taking down the UNLV Running Rebels last week in Las Vegas. The Howard University Bisons went to Kent State University this week and played the Golden Flashes toe to toe for 4 quarters only losing by 7 points, 38-31. I am so damn proud of the Howard Bisons.Again, they showed up and showed out these last two weeks.Things are being shaken up on Georgia Avenue as it appears that Howard Magic has arrived in the form of its football team. They are showing the nation that at least one HBCU refuses to go meekly into the night. They are indeed making their 150th Year Celebration EPIC. You know what school is no longer on Kent State University Athletic Director's speed dial? 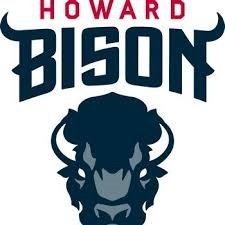 The Howard University Bison that's who. Do your thang Howard when you show out all the HBCU's respeck the energy that your team emits! What school is next on the don't call or text Howard University AD's speed dial list?